HootSuite’s dashboard streamlines your social media management tasks and now offers an easier way to connect with your preferred social identities. 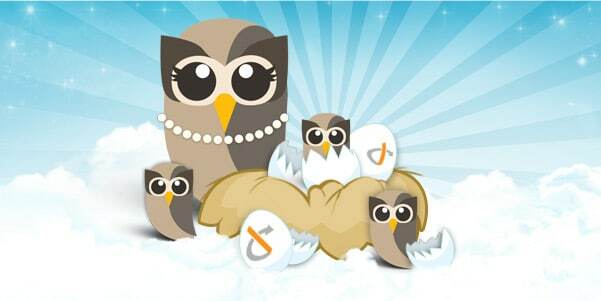 At HootSuite, we enjoy making your life online less chaotic so today’s release hatches a solution to your multiple login mayhem by offering login via a variety of OpenID providers. Too many passwords in your web world? Indeed, it’s easy to get tangled up in the myriad identities and passwords required for your social media accounts. Now you can simplify your identities by associating your HootSuite account with an OpenID from multiple providers like Google, Yahoo!, Mixi, and others. The next time you visit HootSuite, you can optionally choose an OpenID provider to associate with your HootSuite account, plus you can always connect with your existing login information when desired. New users can register on HootSuite with one click authentication — simply login with your preferred OpenID credentials and your HootSuite account is provisioned on-the-fly. So if you’re onboard with Google, great. A full-blown Yahooigan? Covered. A Mixi member? No Problem. Have a MyOpenID? It’s all good. OpenID is quickly becoming the “people’s champion” in the hyper-connected web world. By incorporating this tool in HootSuite, we aim to provide you with more control over your identity while also enhancing your security by having fewer credentials floating around. In short — we’re lightening your load so you can fly a little easier. 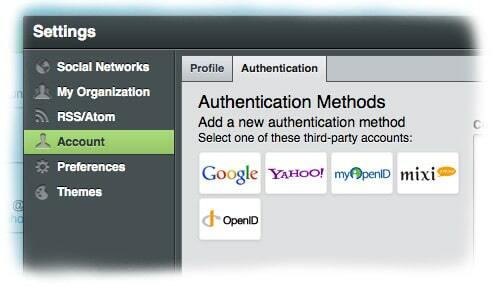 To cure your “login-itis,” simply click the Owl and choose “Accounts” to manage authentication methods.